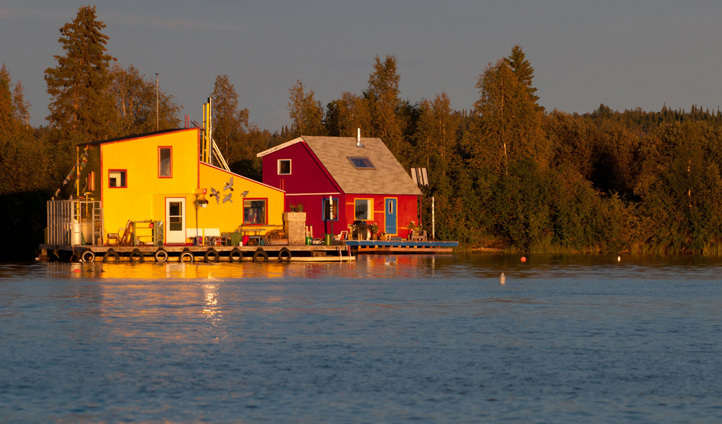 A unique accommodations experience through and through, the floating Bed & Breakfast on Yellowknife Bay is operated by residents and local experts, Daniel and Monique, each having over 10 years’ experience living in this fascinating eco-house. The owners are both fountains of knowledge and attentive hosts, but similarly, they’ll leave you to enjoy the dancing auroras by yourself if this is your desire. Here’s something we don’t get to say very often – the location of this hotel depends on what time of year you go to visit…we’re pretty sure that’s a first in our history of reviewing hotels for your benefit. Canoe out to it in the summer months, whilst in the winter months you’ll be able to walk or drive out on the lake, as the Eco-friendly house and accompanying cabin will be frozen still. For those who want some solid coordinates, however (or, at least the best we can offer) the floating Bed & Breakfast generally sits (or drifts) around 200 meters from the shores of Yellowknife Bay. Floating accommodations for jet-setters is extremely rare, but floating accommodations in the wondrous landscapes of Canada’s Northwest Territories; well, that’s honestly a one-of-a-kind experience. 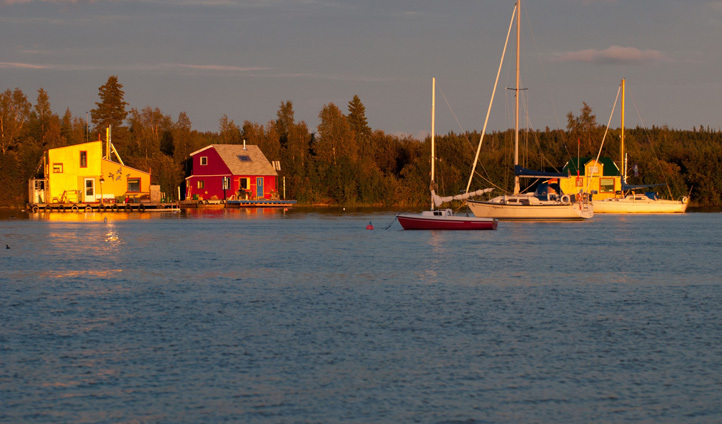 Yellowknife is a brilliant hub from which to explore these territories, so the location of this B&B is a plus, whilst Daniel and Monique’s hosting skills and expertise keep customers coming back year after year.